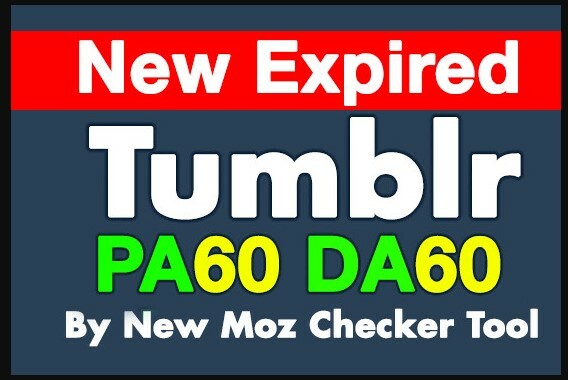 Do you looking for Get Powerful High PA/DA Expired Web 2.0 Tumblr Accounts PA60+ DA60+ ? You are land right place. I will create powerful PBN by Expired Tumblr blogs, I offer registered tumblr blogs with a unique IP. If you are looking for special/custom offer or Bulk order , Please sent me a message! I usually respond within an hour & I promise to get back to you within 12 hours. Note : The expired blogs which I am not going to provide they are not niche related but they are powerful. They have great Page Authority.You can turn them into any niche your want. Q: Do you provide login details of Expired Tumblr blog and Email ? A: Yes, Sure along with login detail of email used to register. A: The one and only one metric I check is PA (Page Authority). I do not and will not check Trust Flow, Citation Flow, or any other metric. Do not ask for it, do not complain about it, and do not leave feedback based on it.. If they have PA, means they have links. 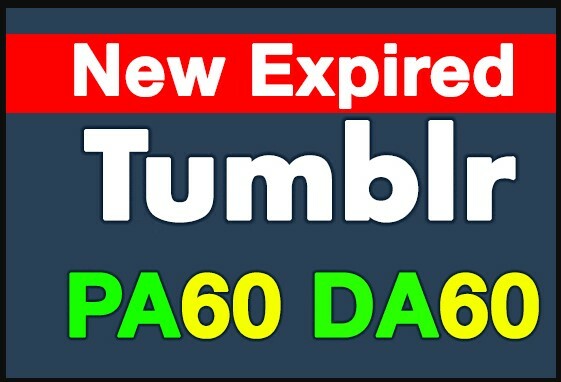 Register 10 Expired Tumblr Blogs PA60 DA60 Plus With Unique IP is ranked 5 out of 5. Based on 5 user reviews.